30x Colors. Present from Russia is included. Threads - woolen/ acrylic. Finished size: 40x30 cm (15.75" x 11.75"). Frame not included. Excellent Quality. Great idea to make a present. 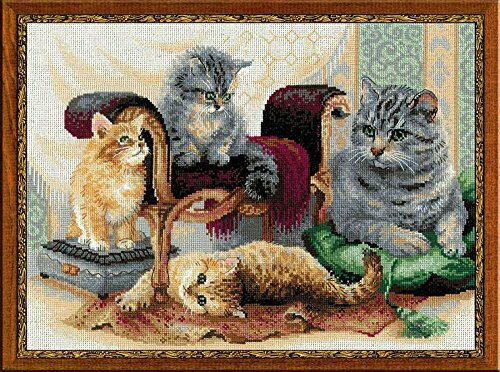 Dimensions 'Chickadees and Lilacs' Counted Cross Stitch Kit, 14 Count Ivory Aida, 12" x 16"